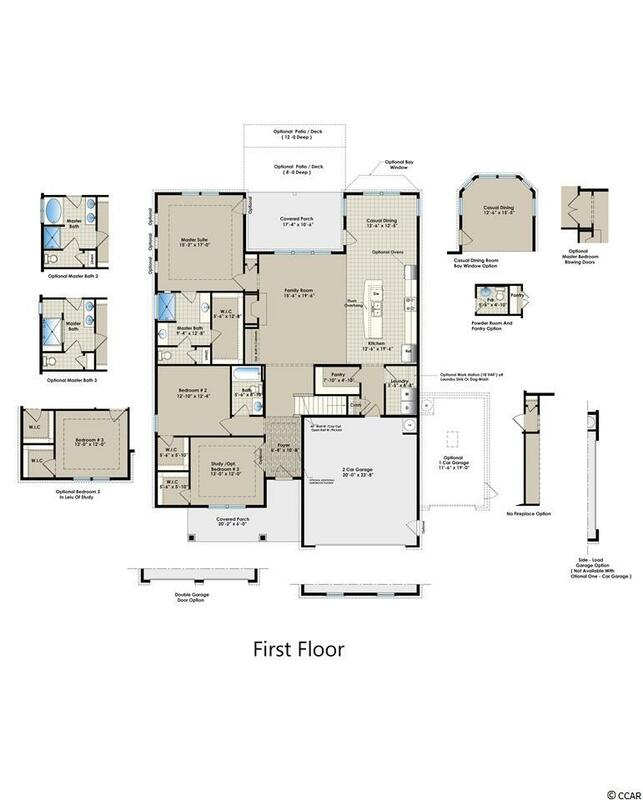 The Calabash 2 story floor plan. This home is now under construction and has been sold as a pre sale. 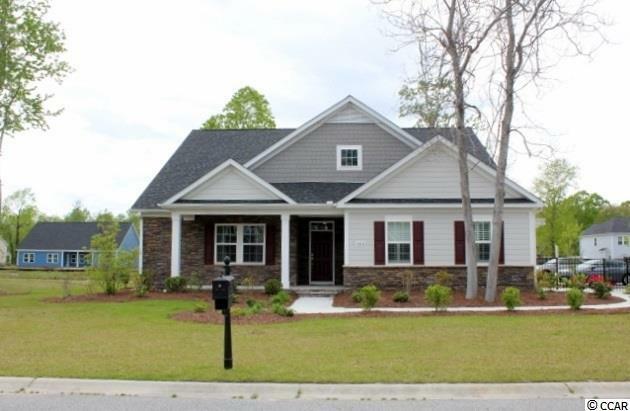 Indigo bay is a 330 home site community which is gated and has natural gas. It is wrapped around a 56 acre lake. Half the homes are on the lake front, the balance on trees/preserves. The huge amenity center is newly completed. This home has 4 bedrooms, 3.5 baths and Bonus with a side entry garage and a spectacular lake view. 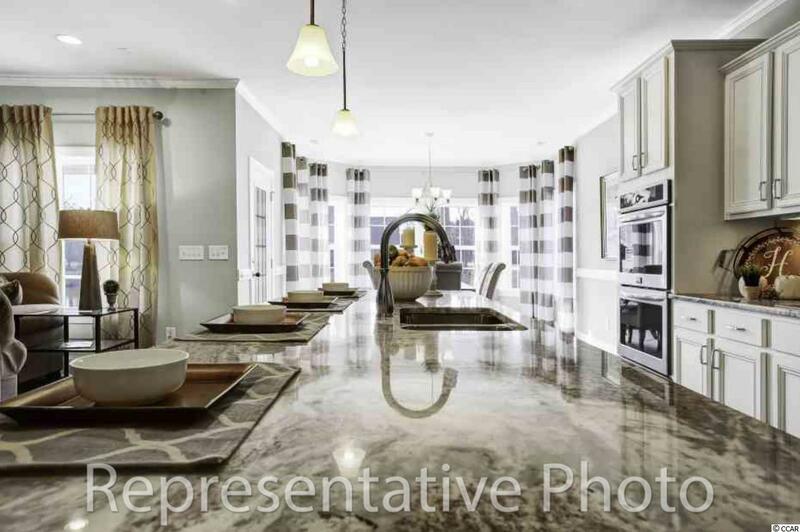 This home will have 5" laminate floors in all living areas, ceramic tile in the baths and laundry and upgraded carpet in The bedrooms and bonus room. Open concept family room, kitchen, and dining. 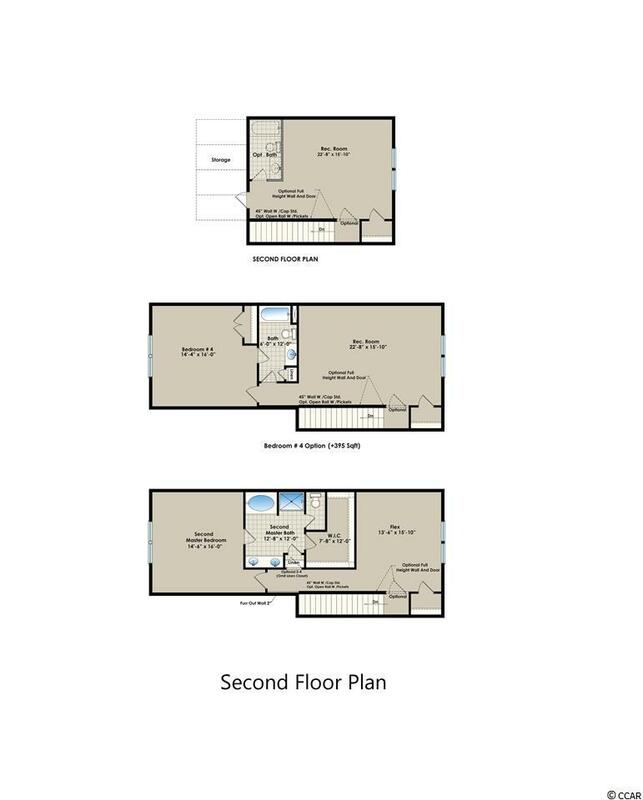 Master bedroom and bedrooms 2/3 are located on the first floor. The upstairs bedroom has its own bath room. The large open great room has 10' ceilings and is open to the large kitchen with an island that can seat 6 and is very bright and open to adjoining dining room with bay window. The Master bedroom is large and spacious and connects to the master bath which has a large walk in shower, double vanity, water closet and linen. The homes has a large pantry and also a separate laundry room. Just too many features to list. This new homeowner has chosen the following options to had to their new home. Whole house blinds. Upgraded cabinets and counter tops. Farm sink in the kitchen. Various electrical changes and low voltage. Larger crown molding throughout living areas and master bedroom. Lever door handles. Fireplace. Upgraded flooring in the Master bedroom and WIC. Upgraded tiled shower with seat. Subway tile backsplash in the kitchen. Gourmet cabinets and appliance package with wall oven/microwave, cook top and SST hood vent, vented. Laundry sink. Comfort height toilets throughout. Exterior door from master to veranda and also a custom front door. Picture is a representation of the home. Actual pictures will be available as the home progresses.